When I think of Media City, I think of the BBC, ITV and The Lowry. 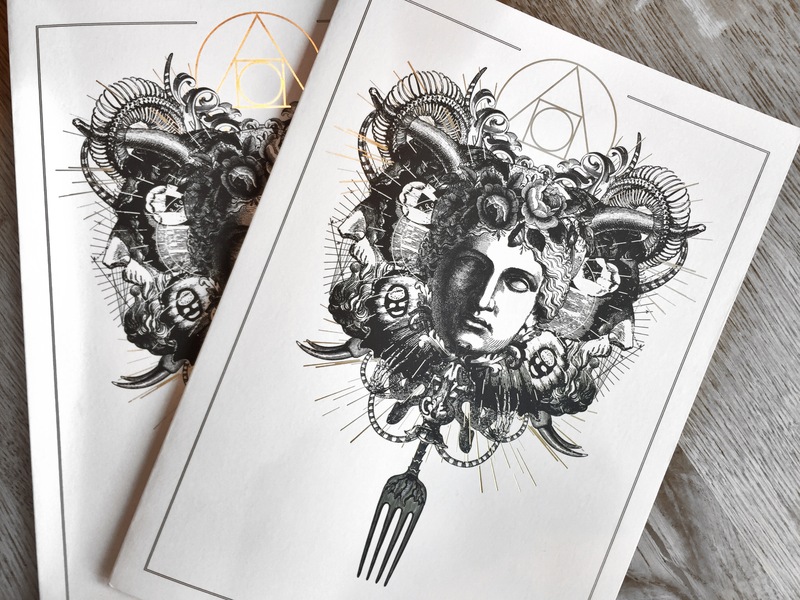 But in the past month, two powerhouse restaurant come bars have sprung up adding yet another element to the waterside neighbourhood. The building itself has been a talking point for the past couple of months as the site was completed, being likened to a spaceship and sitting in prime position over the Manchester Ship Canal. 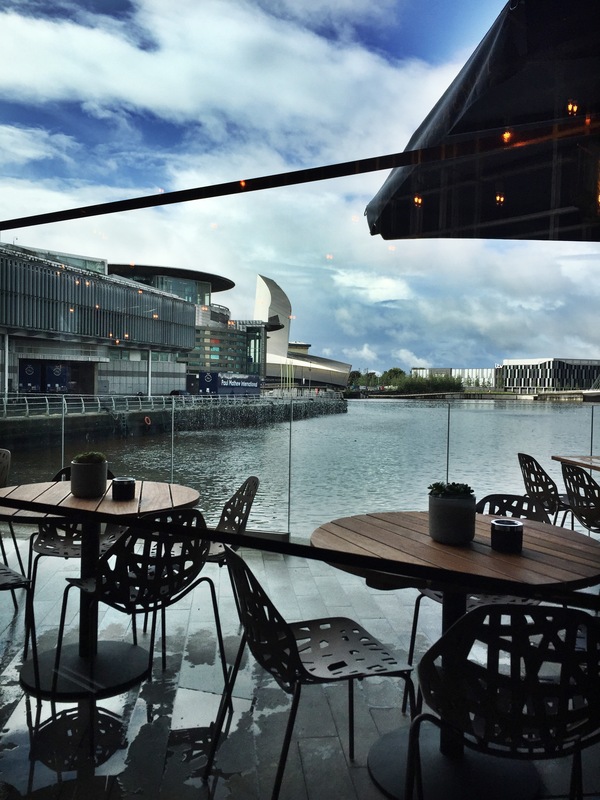 In my head I'd envisioned we'd be blessed with a sunny September, having requested an outdoor table, but Manchester being Manchester had other ideas, so we moved our reservation inside. 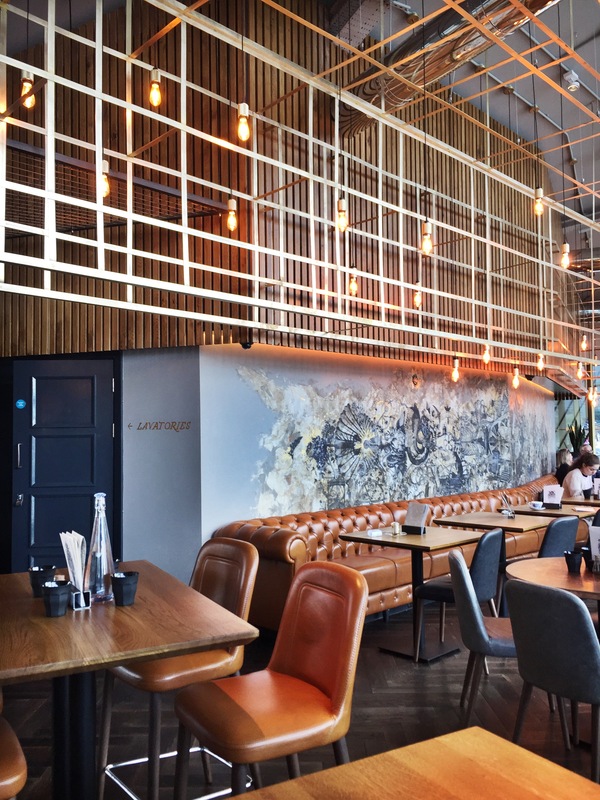 Luckily, you don't lose out by dining in instead as the brand's sleek interior has continued into this next venture with hanging lamps, rich colour palettes and clean lines. 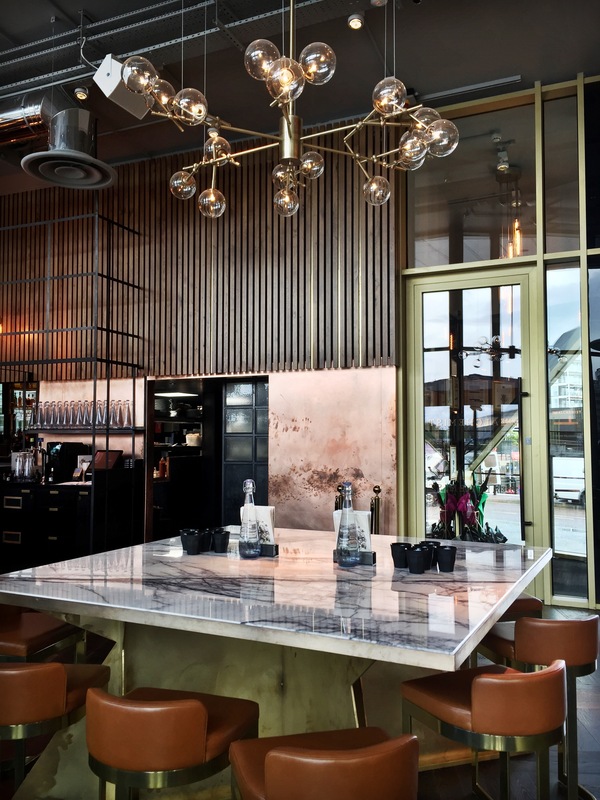 Marble touches are met with gold finishes and a wow factor glass wall overlooking the water, make every table one with a good view. 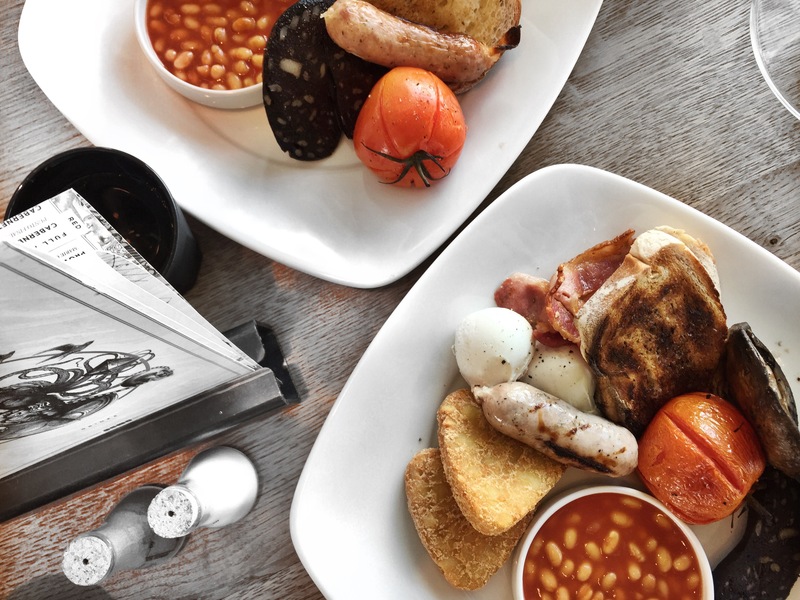 I'm not quite sure why I ever need to look at a brunch menu, when I know it will always be between two options: a Full English or Eggs Benedict, but it's tradition at a restaurant right? Something I'd never seen on a menu before however: Eggs Bury (which comes with Black Pudding if you're interested). Having been out the night before (what's new? ), I went for the Full English, with poached eggs, and kept to a beautifully rich freshly squeezed orange juice. My parents will tell you how fussy I used to be to have bits in my drink, but this juice gets the green light from me. Whenever I head out for brunch, I always mentally leave two hours from arriving to paying the bill. It's my favourite meal of the day, and I like it to be long and lazy. I'm not exaggerating when I say it came out waaaayyy quicker than we were expecting, giving service a big thumbs up for me. The staff, I'll add in at this point, have a sunny disposition and are attentive throughout your time there. Portion size, it really does set you up for the day with two of most things - winner. Eggs were cooked perfectly and the ingredients were so moreish despite me having eyes bigger than my stomach, and whilst I tried my best to leave with a clean plate, I couldn't (I blame my small frame). Brunch is priced on par with what you'd pay in the city centre, but what wins it for me to make the tram trip outta town, is the waterside setting. Eating out should be fun, and with breathtaking views here, I can see myself making another booking very soon, as it's quite clear they're onto something special here.